Ludwig Mies van der Rohe was one of the leading figures of twentieth-century architecture. For architects and many others who are committed to the modernist tradition, he is a pivotal figure. With in-depth, scholarly essays and opulent photographs and plans, this book traces the multifaceted development of his work, including his first Berlin buildings, his villa projects, his work at the Bauhaus in the 1930s, and his American projects of the postwar years. Jean-Louis Cohen was the director of the Institut fran ais d'architecture until 2003 and is currently a professor at New York University. He has an established reputation as a leading international historian of architecture. 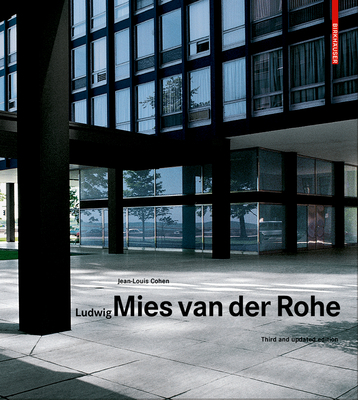 His broad and encompassing perspective makes this book a reliable and comprehensive introduction to the work of Mies van der Rohe. Ludwig Mies van der Rohe geh rte zu den f hrenden Pers nlichkeiten in der Architektur des 20. Jahrhunderts und ist f r Architekten und viele andere, die sich der Tradition der Moderne verpflichtet haben, eine Schl sselfigur. Mit wissenschaftlich fundierten Texten und opulentem Plan- und Fotomaterial zeichnet das Buch die facettenreiche Entwicklung seines Werkes nach: Die ersten Berliner Bauten, seine Villenprojekte und T tigkeit am Bauhaus in den drei iger Jahren sowie die amerikanischen Projekte der Nachkriegszeit. Jean-Louis Cohen, bis 2003 Direktor des Institut fran ais d'architecture und zur Zeit Professor an der New York University, hat einen etablierten Ruf als international f hrender Architekturhistoriker. Seine umfassende Perspektive macht das Buch zu einer verl sslichen Einf hrung in das Werk Mies van der Rohes.